Now’s the season to “shop ‘til you drop” as the days count down to Christmas. And now, the good news. There’s an outlet mall located just south of Naha that has just about everything you could conceivably want to buy. Ashibinaa Outlet Mall, situated just off Highway 331 between Naha and Itoman, ten minutes south of the Naha Airport, has some four dozen stores ready to gift wrap those purchases. C.P. 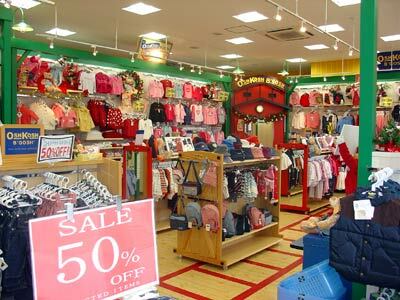 Company, Levi, Osh Kosh, Coach, G-Shock, United Colors of Benetton, Adidas, Surf and Snow, ABC-Mart, Lanvin, Reebok, Brooks Brothers, Guchi, Helly Hnsen and Yves St. Laurent are but some of the brand names selling their wares at Ashibinaa. Golf? Oh yes! 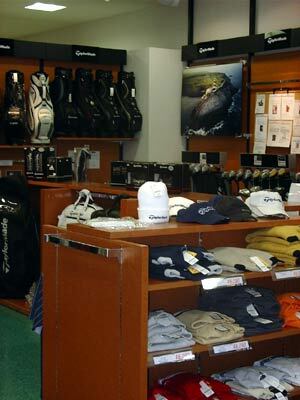 Taylormade has a store, and there’s plenty on sale this month, including drivers. Specialty stores. You bet. Swatch is one. Outdoor Shop Neos is another. And for some really nifty kitchen items, check out Bodum’s goodies from Switzerland. They also have some wonderful coffees, scones and muffins to take the edge off the shopping. More names. Armani, Hugo Boss, Vivienne Westwood, New Yorker, Triumph and Dunhill. This month marks Ashibinaa’s second anniversary, and each day this month there are discounts being offered. Evening visitors 8:00~8:30pm get 10% off any purchase in any store. Ashibinaa offers foods too. A well stocked Ashibinaa Food Court has a Saigon Restaurant, Seoul-Full, Tacos, New York Style Hamburger Curry, and a Beer Cafee. There is also an Italian Tomato and a Beniser “Beniimo” desserts shop. Visitors will find the drive relatively easy, and once there, parking is plentiful and free. Coming south from the military bases, take Highway 58 or the Expressway, then follow signs to Airport. As you approach the Naha Airport you’re on Highway 331. Continue on Highway 331 past the airport about three kilometers. As you pass the Tomishiro Police Station on the left, look for the big Ashibinaa sign on the right. Turn right, then follow the signs. The road zigs and zags, but gets you there in short order.